i would like to connect the Boss DD7 Digital Delay or the Behringer DD400 Delay Pedal to my mixer. Unfortunally my mixer doesnt have send/return holes. Also, as i saw from many pics, the pedals have different holes for cables and not RCA. Also, i was wondering if is possible to use cable converters in order to connect everything. i just didnt understand well, could you explain me exactly the procedure? 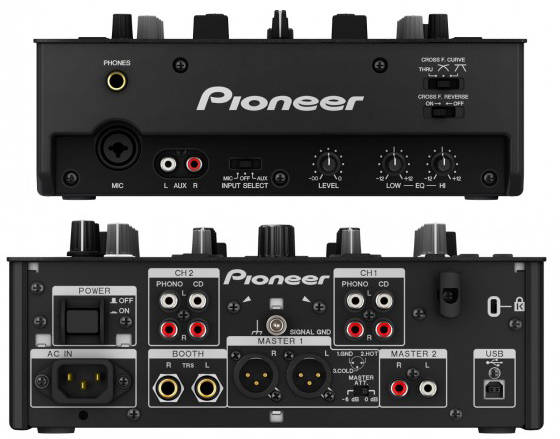 my mixer has the 2 channel input line/phono, the MASTER 1 output in XLR, MASTER 2 output in RCA, BOOTH output. the delay pedals usually have in and out as you know. could you please explain me? He's saying to run the pedals after the mixer's output and before your amp. You'll need an cable that goes from XLR to TRS to connect the pedals. Is it the same if i work woth the MASTER 2 RCA output ? RCA output convert in TRS for INPUT on pedal, then from pedal TRS to RCA amp ? sorry but nothing happened...i can`t hear anything, is there something i can do ? You have to connect the mixer (Master 2, OR Master Out), FX pedal and then your amp or speakers IN SERIES. Hint: You will ONLY use EITHER Master 2 OR Master. One should be completely disconnected.